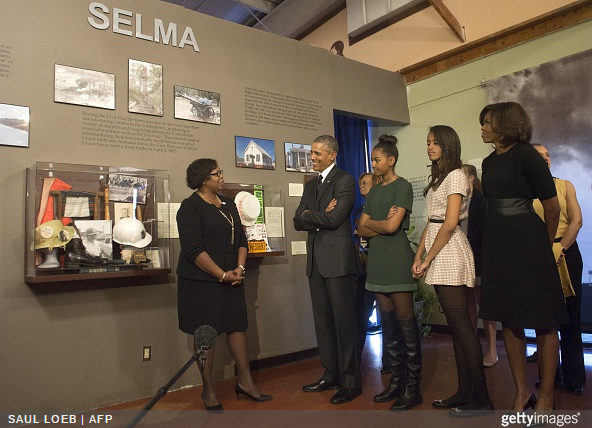 Malia and Sasha Obama joined their parents, President Obama and First Lady Michelle in Selma, Alabama on Saturday March 7th to commemorate the 50th anniversary of Bloody Sunday, a march for voting rights for African Americans which took place in March 1965. I was among those who don't know about the Selma marches, but I got to upgrade my knowledge with the Selma movie, and since then I've also read a lot more about it. On that Bloody Sunday, the first of the marches, civil rights activists braved the KKK and state police forces in a planned march to the capital. Many were wounded, and in the end, the activists were turned back and did not complete the march. There was another march with Martin Luther King a couple of days later, but they were also turned back. A successful march to the capital finally happened a few weeks later and soon after black people in America got the vote. Photos of Nadia Buari's Twin Girls Leak Online?